I'm no fan of currys, very far from it but that's a bizarre made up statement. What do you mean they sell seconds? Like used/refurbished disguised as new? I mean where do you get you information from? Maybe your bearings gave up twice because you were packing too much of whatever instead of following manufacturer's instructions? Have you thought to blame yourself as oppose to everybody else? 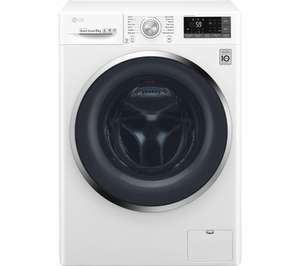 Look at Boots electrical for the Samsung Waher/Dryer. Bought ecobubble version from them & were miles chesper than John Lewis. 5 year warranty & excellent customer service as well as Boots card points. I'm no fan of currys, very far from it but that's a bizarre made up …I'm no fan of currys, very far from it but that's a bizarre made up statement.What do you mean they sell seconds? Like used/refurbished disguised as new?I mean where do you get you information from?Maybe your bearings gave up twice because you were packing too much of whatever instead of following manufacturer's instructions? Have you thought to blame yourself as oppose to everybody else? so before this thread derails any further let me slip a genuine question in, do people think you're better off buying a single more expensive machine such as this or buy 2 back to back basic £150 machines, do these really last twice as long as the cheaper machines and do the warrantys cover parts and labour? so before this thread derails any further let me slip a genuine question …so before this thread derails any further let me slip a genuine question in, do people think you're better off buying a single more expensive machine such as this or buy 2 back to back basic £150 machines, do these really last twice as long as the cheaper machines and do the warrantys cover parts and labour? I don’t think it’s about how long they last. The differences lie in the environmental friendliness, functionality, noise, etc. I don’t think it’s about how long they last. The differences lie in the env …I don’t think it’s about how long they last. The differences lie in the environmental friendliness, functionality, noise, etc. all valid points, however i'm more interested in how much is it, how much does it cost to run and how long will it last? My BS sensor just went crazy! When in a hole.............stop digging! Currys had a few hundred in stock in their warehouse and 3 brand new boxed and plastic sealed which unless I can't see properly..DID NOT look like seconds. And the warranty needs to be registered with LG using a serial number..so definitely not second hand. The Samsung is coming up as 599? No doubt they’ve raised the price so that after Xmas/NY it’ll go on “sale” again.